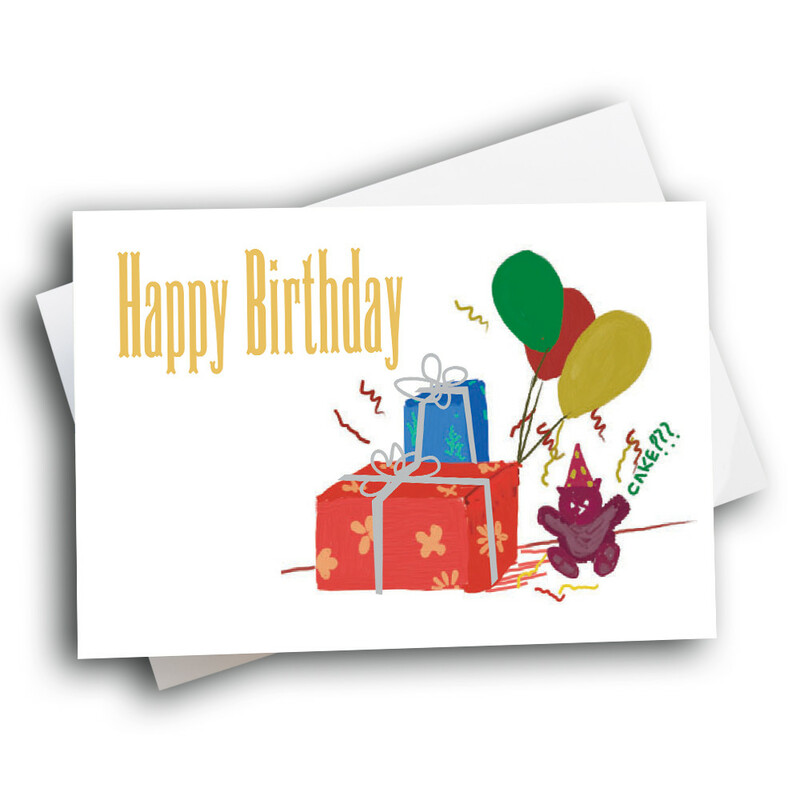 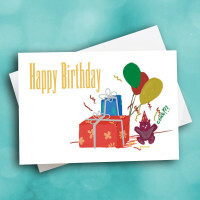 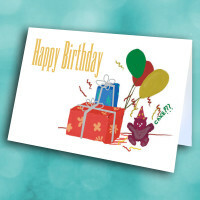 Send a cute birthday cuddle with this teddy bear birthday card. 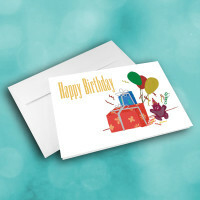 This adorable birthday greeting is sure to bring a smile to anyone on their special day. 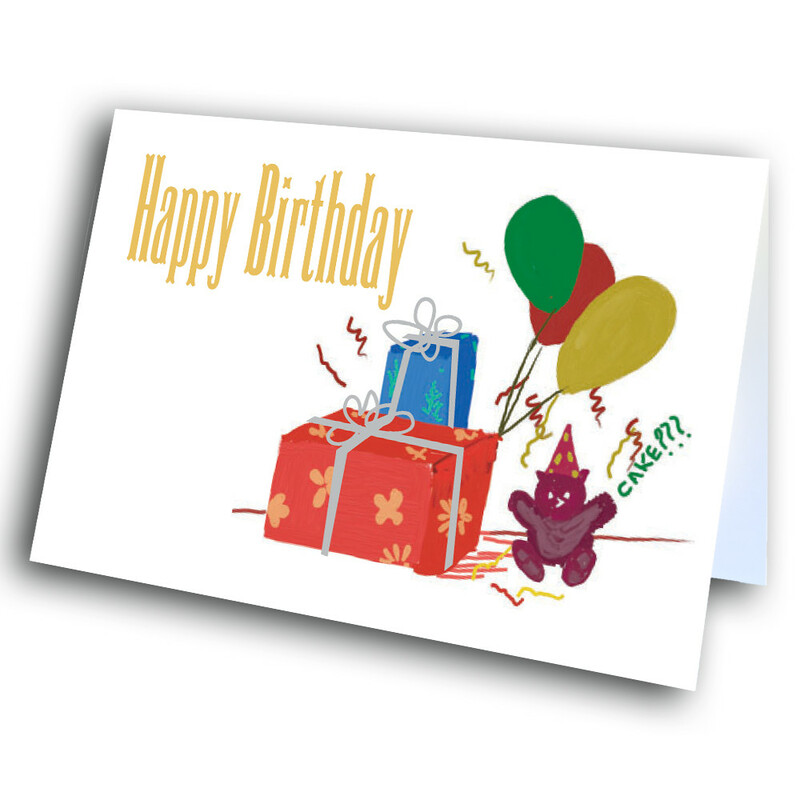 The front is festively decorated with presents, balloons, and confetti, with an eager purple teddy bear. 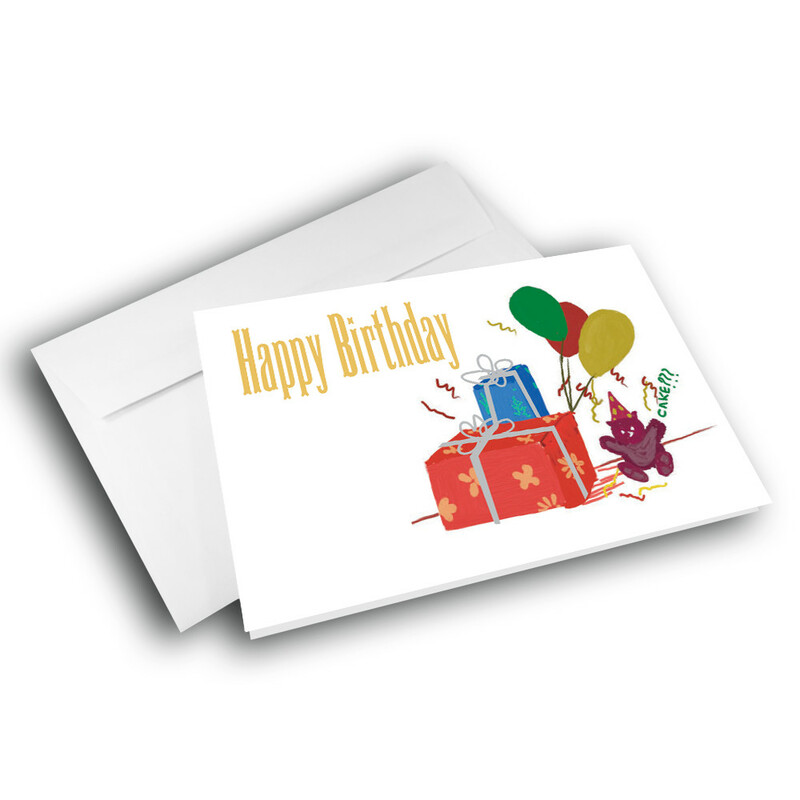 The birthday greeting is neatly printed to the side. Add personalization by adding a custom message inside.